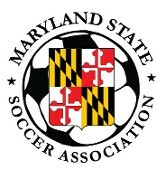 All players registered with the Maryland State Soccer Association are covered under the US Adult Soccer Special Risk Accident policy while participating in any sanctioned event. If treatment is necessary for an injury sustained during a league game, practice or affiliated tournament, the player is encouraged to file a claim using the instructions below. Unaffiliated activities that are not under the organization of an MSSA/USASA member are not covered. Note: This coverage is EXCESS of other insurance. Please be sure to submit other insurance information (if available) when requested. Please read the form carefully to avoid delays in the processing of your claim. It is the responsibility of the claimant (injured participant) to submit all itemized provider bills and explanation of benefits with their claim. If this information is not readily available at the time of submitting the claim form, it may be submitted later. 1. You have been provided with a claim form that is designed specifically for US Adult Soccer. Please use only this form. Do not delay submitting this form. It must be received with or without attachments, within 90 days from the date of the accident or benefits may be denied due to untimely filing. 2. Part A must be fully completed by the participant or his/her legal guardian. It is requested that the form be completed using Adobe Reader. The form may be saved with all of its contents. 3. Participant must sign page 3 of the form, titled Authorization. 4. The bottom of page 2 of the form needs to be verified by the coach, manager or referee who witnessed the injury. The League Verification Officer must sign the form to verify that the player was injured at a sanctioned event. Submit along with the claims form all itemized insurance billing forms. These forms are available from your health care provider and include the patient’s name, condition (diagnosis), type treatment and date the expenses(s) was/were incurred. “Balance due” statements are not acceptable. 6. The form will be reviewed by the State Association Verification Officer and then sent to US Adult Soccer, who then send the documents to K&K Insurance for Processing. 7. If you have medical coverage under another policy you must submit the bills to your primary insurer first and submit a copy of your primary insurer’s Explanation of Benefits statement (EOB) with your claim form. IF YOU HAVE OTHER INSURANCE, YOUR CLAIM CANNOT BE PROCESSED BY K&K Insurance Group, Inc. / Specialty Benefits WITHOUT YOUR PRIMARY CARRIER’S EOB. 8. Once the completed form is received by K&K Insurance Group, Inc/Specialty Benefits, you will receive a claims acknowledgement letter. 9. AFTER you receive your Acknowledgement Letter, you may contact K&K Insurance Group, Inc./Specialty Benefits at 800-237-2917 Option 1. NOTE: Depending upon the browser used, the form may download onto your Adobe program or as a separate tab/page on your browser. If it appears on your browser, save the form first, then complete the form using Adobe as the information you enter may not be saved if using your browser. Once the form has been completed, save the form on your system before printing. 1. You have been provided with a claim form that is designed specifically for US Adult Soccer. Please use only this form. Do not delay submitting this form. It must be received with or without attachments within 90 days from the date of the accident or benefits may be denied due to untimely filing. 2. Part A must be fully completed by the participant or his/her legal guardian. This is a fillable form using Adobe Reader, therefore it is requested that all information be typed. The form may be saved with all of its contents when using Adobe Reader (it may not get saved from your browser). 3. PRINT the form. Participant must sign page 3 of the form, the one with the title Authorization at the top. The 3 pages of the claims form may be mailed to the address above along with any copy itemized bills provided by your health care provider that includes the patient’s name, condition (diagnosis), type treatment and date the expenses(s) was/were incurred. “Balance due” statements are not acceptable. These copies may be scanned and sent to the email address above. 5. The form will be reviewed by the State Association Verification Officer, which includes coordination with the respective league. It will then be sent to US Adult Soccer. US Adult Soccer will forward the documents to K&K Insurance for processing. 6. If you have medical coverage under another policy, those bills must be submitted to your primary insurer first. When submitting your claim under this program, a copy of your primary insurer’s Explanation of Benefits statement (EOB) shall be included with your claim form. IF YOU HAVE OTHER INSURANCE, YOUR CLAIM CANNOT BE PROCESSED BY K&K Insurance Group, Inc. / Specialty Benefits WITHOUT YOUR PRIMARY CARRIER’S EOB. 7. Once the completed form is received by K&K Insurance Group, Inc/Specialty Benefits, you will receive a claims acknowledgement letter. 8. AFTER you receive your Acknowledgement Letter, you may contact K&K Insurance Group, Inc./Specialty Benefits at 1.800.237.2917. Use Option 1. If there are any questions concerning these procedures, email us at MSSAFalcone@msn.com.